Drama students needed for short film! Actors are wanted for a short film for Film students Micro Budget Film making module called ‘Crying Wolf’. This spring, the Marlowe Youth Company will be working alongside The Marlowe People’s Company to launch The Marlowe Kit, our new building, with a production of two plays by Aphra Behn. The Marlowe Youth Company will present The Emperor Of The Moon, a cosmic and comic farce written in the style of Commedia Dell’Arte. The Marlowe People’s Company will present The Rover, Behn’s infamous play about love and lust in the heat of the carnival. The performances will take place in The Marlowe Kit between 24-29 March 2018 and this year participants aged 14-21 are welcome to audition for The Emperor Of The Moon and participants aged 18+ are welcome to audition for The Rover. Tuesday 5 December, 6.30-9.30pm – The Rover auditions. 6 December, 5-7pm – The Emperor Of The Moon auditions. Thursday 7 December, 5-7pm – The Emperor Of The Moon auditions. Please also contact us if you are interested in getting involved in the backstage side of the production or if you can’t make any of the audition dates but would still like to be involved. If you haven’t taken part in an audition before then please do not worry about coming along. You won’t need to prepare anything for The Emperor Of The Moon auditions and there is a small bit of text for The Rover auditions, but you do not have to learn it. FACT Festival, organised by the Academy of Theatre and Film Arts in Budapest announces the call for student-led creations to be presented during the next edition of FACT, held between 1st and 4th February 2018.
other artists. The organisers of FACT closely collaborate with partner universities from all over Europe. Beside the performances proposed by the partner universities, we intend to give the opportunity also to the students themselves to apply with their own initiatives, as we share the conviction that student-led activities are extremely important elements of the high education in art. – small-format and technically easy performances initiated and created by students. – performances can be created by the students from the same academy or collaborations of students from different schools. – venue and technical equipments to present the performance once in frame of FACT Festival. – accommodation and subsistence for 3 days for up to 6 participants (including performers, technicians, other contributors). Please note that the festival does not cover the participants’ travel costs. – full record of the performance. Please apply by sending your application material to nanay.fanni@szfe.hu. The list of selected performances will be announced by 10th December. A second-year film student within the School of Arts is looking for Drama student support! The project is a dark comedy short movie,”Neighbour’s Cake”, with KTV Drama this year. The team are looking for a male actor to play one of the main characters, possibly looking middle/the late twenties. The actor’s scenes will be probably shot around the second half of January and first half of February. If you are interested, please contact arts@kent.ac.uk for more information. Emily Whitebread is a visual artist based in Margate (an associate of a organisation called Open School East). Emily is in the final process of writing a script for an exhibition which will take place on the 24th (evening), 25th and 26th November at an undisclosed location in Margate. Emily is looking for a female actor who she will be able to work with to perform live during the exhibition. The piece is about the exploration of a human tongue and the stomach. It is a monologue and the piece would have to be learnt. Professional experience is not needed but they need to have an interest in the avant-garde and an enthusiasm for experimentation.They would also need to be available for rehearsals before the exhibition (TBD). Emily says she has worked with actors and acrobats in the past and is very open to collaboration and interpretation. Please look at her website for her CV and examples of previous Work (in particular Cosmic Tissue). Emily can pay £100 + travel. An actor (male or female) is needed for an on-campus production of a short film, which will be supported by Kent Filmmakers Society. The actor will need to portray emotions of anxiety and shock, and all the further details about the story will be revealed at the auditions. The rehearsals will take place at the end of next week. The shoot is likely to take around 1-2 days during the first two weeks of October. The video will promote the ‘You and I Protect’ movement that aims to empower students to intervene safely and with confidence and challenge inappropriate behaviour and sexual harassment. The video will be approximately 2 minutes long and will feature three scenarios: one in Venue, one in K-Bar and one on a bus. Extras will just need to be in the background. All participants will get a £15 Amazon voucher. Students do not need to stay whole day. 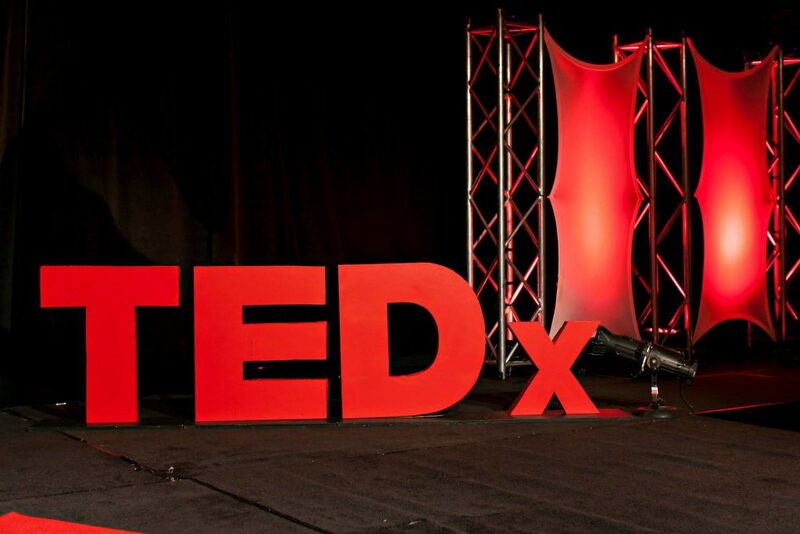 TED is a nonprofit organisation devoted to spreading ideas and celebrating a multi-disciplinary environment; this usually takes the form of short powerful talks by a variety of people with innovative and enlightening perspectives. TEDx events, like ours, are independently run events licenced by TED and put together by a group of dedicated volunteers who in this case are students, alumni and community members. The TEDxUniversityofKent team have been working hard since September to raise funds to organise an event which dives into the theme of The Unexplored. Many acclaimed academics, students and members of the local community will be coming forward to share their exciting and innovative ideas. Tim Marris – a registered Osteopath with 39 years clinical experience who is exploring how many people get out of step with time in their thinking, becoming ‘past or future thinkers’. Jayne Lawson – the Central Manager of the HEAT project, which is dedicated to using data to target, monitor and evaluate outreach programmes in Higher Education. There are more on the list waiting to share their ideas with you and we have many activities planned throughout the day for our visitors to get involved in and discover what the theme of the unexplored means to them. **ALSO TEDX IS STILL LOOKING FOR DRAMA AND THEATRE STUDENTS TO ASSIST WITH TECHNICAL – if this interests anyone please contact Maisie Ann Golding on goldingma@gmail.com. CSF is proud to be hosting auditions for its third year of Shakespeare productions. Come along to the University of Kent to get involved. You will not need to prepare anything, just bring comfortable clothes and water. Auditions will be held in hourly slots. There will be four slots on Friday 7th April, starting at 18.00, 19.00, 20.00 and 21.00 hrs. They will continue through Saturday from 12.00 – 16.00 hrs, with recalls being held both on the Saturday and the Sunday (12.00 – 16.00hrs). You will be contacted separately via email if you are required for any recalls. Unfortunately, you must be 18 or over to audition for the festival. The shows will run between Friday 4th August and Sunday 20th August (inclusive), beginning with the first full-scale production on the Friday. Friday 7th April 18.00-22.00 – Cornwallis Building; Seminar Rooms 5-9. Saturday 8th April 12.00-16.00 – Eliot College Cloister Rooms, located at the bottom of Eliot College surrounding the courtyard space. Sunday 9th April 12.00-16.00 – Eliot College Cloister Rooms, located at the bottom of Eliot College surrounding the courtyard space. There will be memebers of the CSF team around to show you where you to go. There will also be signs up to help you locate us. We look forward to seeing you at this year’s auditions. It promises to be our best year yet!